WIMA PowerBlocks are cascaded double-layer capacitor modules for voltage support, for fast supply of electrical energy e.g. to cover the peak power requirements, or for protection of batteries. 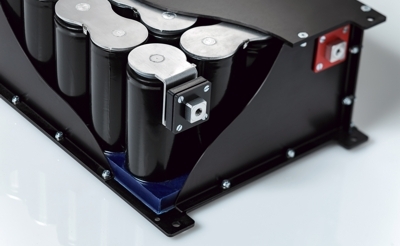 The WIMA PowerBlock range has a modular design. The configurations displayed are representative examples which at any time can be adapted in terms of capacitance, voltage or dimensions. Customized solutions can be realized on request.